Whether you need simple precast concrete steps, or a fully custom poured-in-place set of concrete stairs with overlays and radiant heating, we will work with you to meet your needs. For more details see sections to the right. We like a challenge. 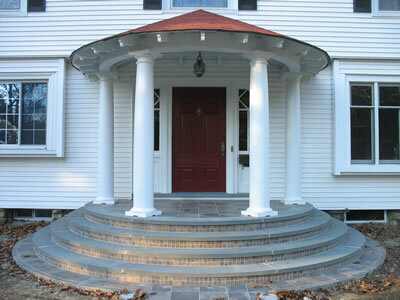 Bring us your custom concrete stair needs and let us show you what we can do. Whether your need be complicated circular outdoor stairs, multi-flight poured in place concrete steps, or anything else you can dream up, we have a solution to meet your stair needs. 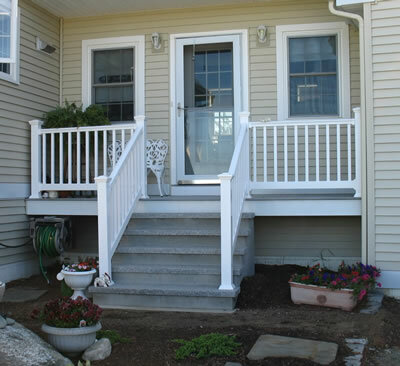 Our precast steps are perfect for a variety of outdoor stair needs including but not limited to: mobile home steps, porch steps, patio steps, as well as manufacturing and business stair applications. Our precast steps are lighter then poured in place concrete stairs and self supporting which make them less expensive and more easily moved. These prefab stairs are also available with customizations such as brick veneer, granite treads, and custom colors. 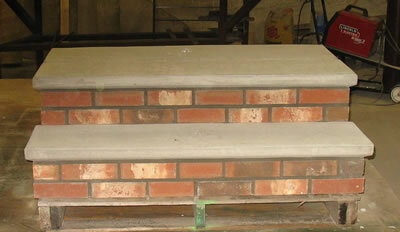 Whatever your need for precast concrete steps we have the perfect solutions. Contact Us today and let us know what we can do for you. Side entrance stairs include a closed back and hand rails along one side and the back of the unit. Picture shows an extra large platform. 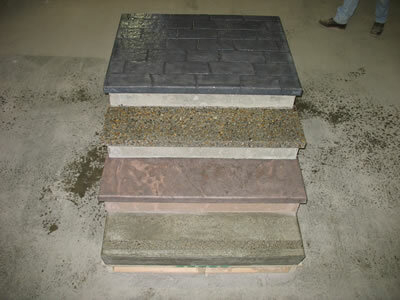 These are modular precast concrete stair units and precast concrete platforms. 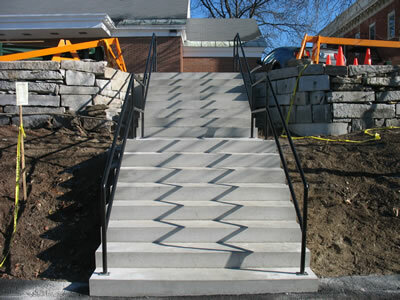 ADA approved concrete stair units are available in Standard and Custom sizes. 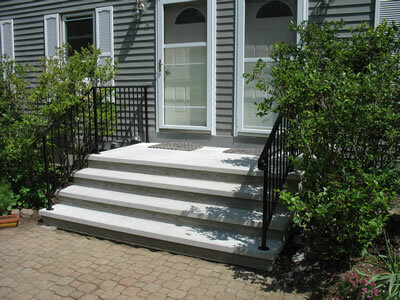 ADA railings are also included in this product line. Perfect for a variety of public indoor and outdoor stair needs.